In order to understand the pioneering spirit that built this country and continues to contribute to strengthening its Zionist values today, a visit to Gush Etzion, aka the Etzion bloc is an inspiring experience. Only twenty minutes by car south of Jerusalem you will find yourself transported from an urban landscape into the rugged terrain of the Judean mountains, which further along segues seamlessly into barren desert. Let’s start with its biblical history; this is the landscape where the scenery of the bible comes alive. Looking out at the pastoral panorama of rocky hills and agricultural terraces it is as if time stood still. You can visualize what life must have been like when Abraham and Isaac walked here on their way to Mount Moriah, where Ruth and Boaz met in the fields as she gathered sheaves of wheat and when David herded his flocks on a nearby hillside. If you travel along the Path of the Patriarchs which traces the ancient route pilgrims would have taken from Hebron to Jerusalem you can go back two thousand years and enter inside the rock-hewn mikve/ritual bath specially built in the time of the Second Temple to enable pilgrims to purify themselves on their journey. There was no village here at the time; it was built out of altruism, an act of kindness for passing travelers. Later on in Byzantine times the place was used as a reservoir. In the same spirit, modern day school children have planted trees along the way, which once they are grown will provide pleasant shade along the sunny route for present day wayfarers. Milestones dotted along the path tell another story, this time of the Romans who also spent time in the region. As well as methodically charting the distance to their destination, they used sophisticated engineering and hydraulic techniques to build a system of aqueducts that carried water from the springs and pools of Gush Etzion to Jerusalem. The city with its ever increasing population and thousands of tourists arriving on pilgrimage festivals was unable to fulfill its citizens needs from local water sources. Work that was probably started in the Hasmonean period was upgraded and continued by the Romans. They did such an impressive job that water has been conveyed to Jerusalem through this series of channels, dams and aqueducts all the way through to the time of the British Mandate at the beginning of the twentieth century. For the adventurous amongst you, it is possible to walk through part of one of these aqueducts. The muddy water reaches to mid thigh in places and if you are prepared to crawl on all fours you can see the point where the water bursts from the ground at the source of the spring. A good flashlight and a change of clothes are highly recommended. I mentioned the Hasmoneans and in fact the Path of the Patriarchs meanders alongside Moshav Elazar, named after the brother of Judah the Macabee. When the Hasmoneans were waging the dual war against the mighty armies of Alexander the Great and the enforced secularization of the Jewish people they fought two battles in Gush Etzion. 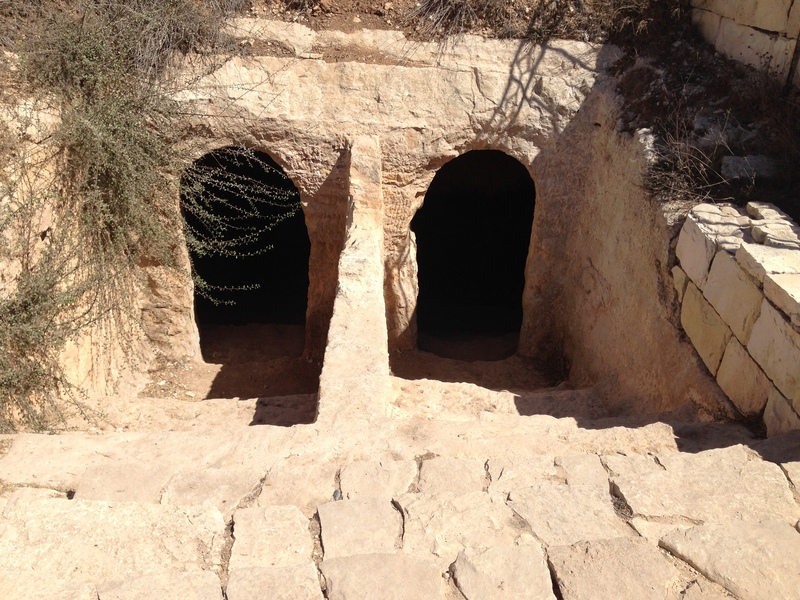 The preponderance of natural caves in the hillside gave the fearless fighters shelter (and were to be used for the same purpose by Bar Kochba and his men almost two hundred years later). The Greek equivalent of the Merkava IV (the most sophisticated Israeli tank) was the elephant. When Elazar realized that all was lost and they were about to be defeated, he brought down the elephant of the Greek commander which collapsed on him causing his instant death. This courageous act turned the tide of the battle, the Greeks withdrew and Judah succeeded in keeping Jerusalem in Jewish hands. The name of the community commemorates Elazar’s bravery. The Path of the Patriarchs links the two modern settlements of Alon Shvut and Neve Daniel and this is where our story moves forward several centuries in time. The name “Alon Shvut” means in Hebrew “return to the oak” and indeed just outside the present day community an impressive oak tree, several hundred years old, spreads its branches. In the 1920’s, the first people to try and settle in the area were a group of Yemenite Jews, who had bought the land from a local Arab sheikh. At almost 1,000 metres above sea level the winters here are very cold and when snow fell they thought they were seeing the biblical manna fall from heaven. They persevered in the harsh conditions until the Arab riots of 1929 when they were evacuated by the British to Jerusalem for their own safety. The second attempt to establish an agricultural settlement took place in the mid 1930’s. This time the idea was to establish an agricultural holiday village. The man behind this enterprise was called Zvi Holzman and Kfar Etzion was named after him as both “Holz” in German and “Etz” in Hebrew mean wood. The Arab riots of 1936 forced the Jews to leave and the continued violence over the next three years saw the project destroyed. Determined to found a community, a group of Polish Bnei Akiva members started Kibbutz Kfar Etzion in 1943. Their actions coincided with the Warsaw Ghetto Uprising. 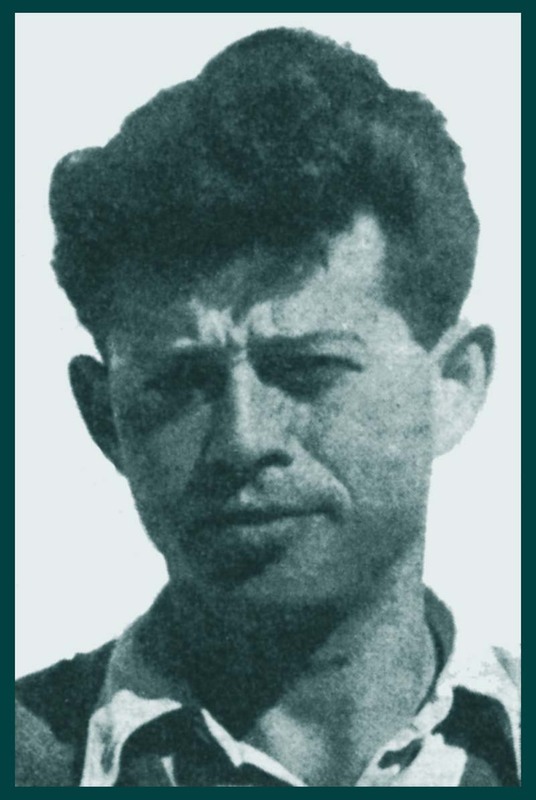 It seemed perseverance had finally paid off and by 1947 there were four kibbutzim in the vicinity, (the others were Massuot Yitzhak, Revadim and Ein Zurim) and a population of 400 Jews. The UN partition vote in November 1947 was not as joyously received in the Gush as in other parts of the country because it left these communities outside the intended Jewish state. On Jan 15th they started out from Har Tuv after midnight to walk the 25 km to Massuot Yitzhak. They walked through the hilly terrain throughout the night reaching the Arab village of Tsurif around dawn. Here they met an Arab shepherd. Figuring he was harmless they let him be, but he apparently called for the troops, as soon the thirty-five were being fired upon from all sides by local Arabs. A fierce battle lasted until the evening when the Palmach soldiers were out of ammunition and paid for their naïveté with their lives. Their bodies were stripped and horribly mutilated. Among the dead was the commander Danny Mass. 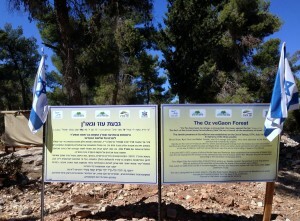 The community of Neve Daniel is named in his honour. 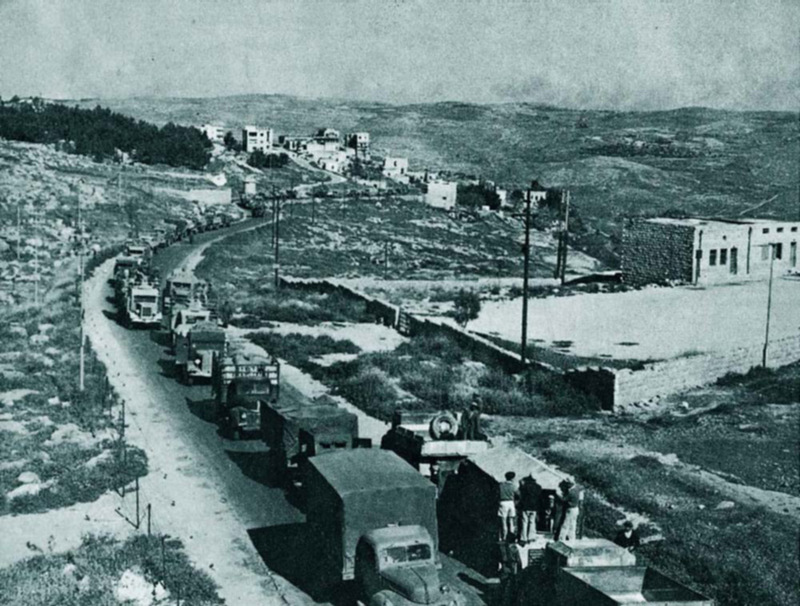 On March 26th the Nebi Daniel convoy was attacked as 51 vehicles were trying to make their way to the Gush. May 13th was the day the Old City fell and on the same date, the day before the declaration of the state, Gush Etzion fell too. Every building was destroyed by the Jordanians and the thousands of saplings that had been planted were uprooted, only the old oak tree was granted a reprieve. 240 men and women were killed and another 260 taken as prisoners of war to Jordan. Prime Minister Ben Gurion eulogized the defenders of Gush Etzion and their heroic stand against the Jordanian Legion as follows. “I can think of no battle in the annals of the Israel Defense Forces which was more magnificent, more tragic or more heroic than the struggle for Gush Etzion … If there exists a Jewish Jerusalem, our foremost thanks go to the defenders of Gush Etzion”. 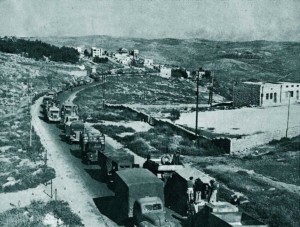 Nineteen years later, the day the Paratroopers recaptured the Old City, soldiers also moved south to the Gush and found the Jordanian army camp which had been in Kfar Etzion abandoned. Those who returned to the area recognized the old lone oak tree from earlier days and it became a symbol of the renewed Etzion bloc. It is surrounded by stones which serve as a memorial to those who fell defending it. The children of the original founders settled again in Kfar Etzion, rebuilt their destroyed homes and started farming anew. Once more the area started to flourish with activity. A new kibbutz, Rosh Zurim, was established on the site of the former Ein Zurim in 1969. The hesder yeshiva students of Har Etzion established Alon Shvut in 1970. A few years later saw the founding of the co-operative Moshav Elazar in 1975, with Kibbutz Migdal Oz shortly after in 1977. The city of Efrat followed in 1980 and Neve Daniel 1982. Today there are two cities and well over 70,000 people, both religious and secular, living in the various communities in the Gush. It is home to several first class educational institutions, teaching from primary to post graduate studies. Facilities cater to both those in a regular academic framework and those needing a more sympathetic environment to cope with their particular learning challenges. Today most agree that it would be unthinkable to leave Gush Etzion outside the borders of Israel in any future peace agreement. Unfortunately the area still has to contend with much tragedy: Just over thirteen years ago two residents of the Gush, Dr. Shmuel Gillis and Tzachi Sasson were killed in separate terrorist attacks within a few days of each other. 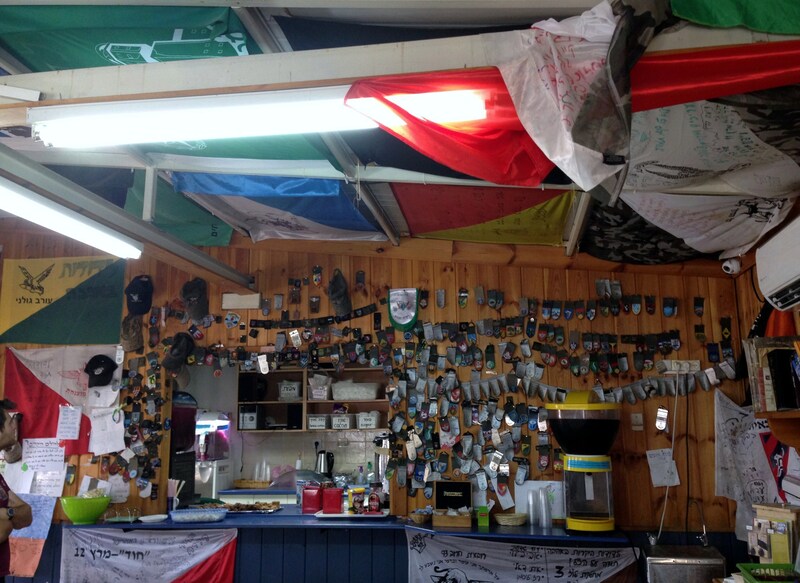 The response of their families was to open the “Pina Hama”,or “Cozy Corner” in their memory. This is a resting place for all the soldiers that serve in the area and is manned by volunteers who bake cakes and other goodies to give them in appreciation for protecting them. This past summer was not an easy one for anyone who lives in Israel and the difficult times started with the kidnapping and subsequent murder of three students who studied in the Gush and were making their way home at the end of the school day. The tragedy of Gil-Ad Sher, Eyal Yifrach and Naftali Fraenkel touched everybody’s hearts and united the country in mourning. In order to commemorate their young lives, residents of the Gush decided to develop a new site as a place for recreation and tourism. Together with volunteers from all over the country they have cleared and renovated part of a forest adjacent to the main road junction in the area. 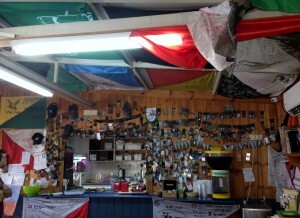 They have restored the original forester’s house, added a children’s playground and made it into a campsite. Communal cultural and social activities are already taking place on a regular basis. There are plans to develop it further and the unadulterated enthusiasm and dedication of those who make the effort to visit and help support the venture is none other than Zionism at its finest.